I am writing this blog in an airport lounge in Hong Kong. I am Bowen Chen and, finally, I am a senior. As a Chinese international student, annually, I take a flight back to China; yet, this summer, my destination was different. 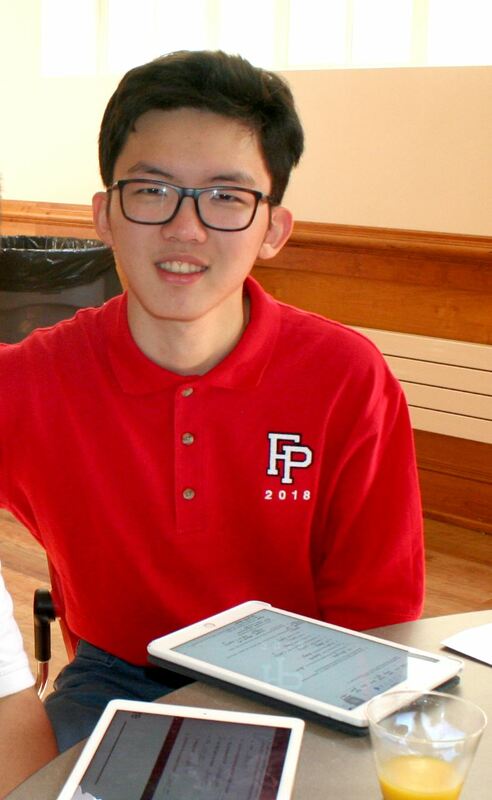 Instead of flying to Shanghai or Hong Kong, I intentionally chose Columbus, Ohio, where I would participate in a six-week mathematical summer program, the Ross Math Program. Ross is one of the top math programs in America, founded in the early 20th century. Rather than studying regular mathematical topics, such as algebra, geometry, or even calculus, students have lectures and seminars about Number Theory. Well, you might ask, “What is Number Theory?” Let me give you some examples. Did you ever think about why one plus one is two? Why zero and one exist? Are there any axioms we can always follow while proving a mathematical lemma? You might think these questions are stupid and seem inconsistent with other math topics; I thought so too. However, if you think deeply about these simple things, you might realize these simple things are not that easy. Yes, these fundamental questions are examples of number theory, the most basic and ancient math topic in the world, which has existed since human beings invented numbers. In Ross, number theory problems are charismatic and ineffable, occupying my mind all the time. Attending the lectures and seminars every day, I clearly understood that what I had learned was only a tiny part of math. In Ross, my previous math knowledge is nearly useful; In Ross, professors and counselors do not need a general answer but students’ capriciousness and meticulousness (no skipping in-between steps); In Ross, every proof or disproof appeals to logos. Solving a problem or salvaging a false lemma require clear logical thinking behind every single step. Notwithstanding the extreme difficulty of these number theory problems, it cannot quell our motivation. Finding the correct answer after discussing with global friends who all love math brings unprecedented pleasure. After experiencing Ross, my summer vacation truly began; however, it was momentary because it only lasted six days. After briefly relaxing, I spent the rest of my time taking an SAT class. Hopefully, it is useful. Now, let’s talk about the plans I have for my senior year. Academically, I will take five AP classes, including Biology, Chemistry, English, Statistics, and Government. Someone might ask “are you oppressed?” Yes, I am; however, in order to acquire more college credits, I believe I need the challenge. Biology and Chemistry are recondite, cryptic, but integrally interesting. I want to major in biomedical engineering, so these two APs will be vital to me. Because I finished Calculus last year, I desire for something with a distinct flavor. Unfortunately, number theory is not offered here, but Statistics might be palatable. Since my curriculum should be exhaustive, I believe Government, English and Social Ethics will be beneficial. In addition, there are many club activities I need to take care of. As the new captain for math team, I expect to see more talented members join us. Our goal is to be the state champion this year. In addition, I cannot wait to initiate the 2018 yearbook. Through my camera lens, I will record every single joyful moment in Prep. The plane is going to take off now. It is better for me to stop writing and turn off my iPad. My first blog ends here, but my journey will certainly continue.